Excellence Is not cheap, but a bad experience is. Wellington Juku Is The comedian for you . It's not just about laughter it's about having a memorable , unique , exciting , experience for what ever the occasion may be . A Vet of the U.S. Navy as a Cook for 5 years & a former Sales Rep for the paper . I sold subscriptions for 5yrs .. Performs at churches , corporate events , & colleges . Motivational & inspiring . Let's have fun . Wellington was our first headliner in Oct of 2014 and he performed countless times thereafter!! Not only is this guy hilarious, he is versatile, professional and always delivers good comedic entertainment. He was our "HOUSE" favorite. We even hired or recommended him for private parties at our venue. He never disappoints. Wellington was phenomenal! He connected with all ages and made the evening one to remember. He helped to make our 10th Church Anniversary Funny Finale a great success. Aragon will talk about Wellington Juku (in a good way) for a long time. Thank you so much for allowing me to be apart of a very special occasion. Every one was super hospitable . God Bless ! We were So pleased with Wellington’s set at our school’s event. His comedy was very clean and hilarious and appealed to everyone in our diverse audience. He even offered to help clean up after the event! Wellington is a great comedian and a great guy!!! Thank you so much, Cheryl, for letting me be a part of such an awesome event for the kids and the adults in attendance. You were very hospitable and kind. I hope you have a fantastic weekend!! Wellington performed at our comedy show this past Friday night, and it was absolutely amazing. He was very funny and professional, I will definitely use him again. Everyone who came to our comedy show enjoyed him and his team! Thank you, Mr. Wellington! The company that I work for just had a Christmas party that was quite unique. There were several things going on at once (eating, drinking, dancing, entertainment, drawing for prizes, karaoke) so it was busy, to say the least. I hired Wellington to host the event and he did not let me down at all. He was very flexible, positive and helpful the whole time. Unfortunately, I kept changing things up on him, but he handled it with so much grace and just went with it. And he even wore a santa suit while doing it! Of course he was hilarious. The guests enjoyed him. 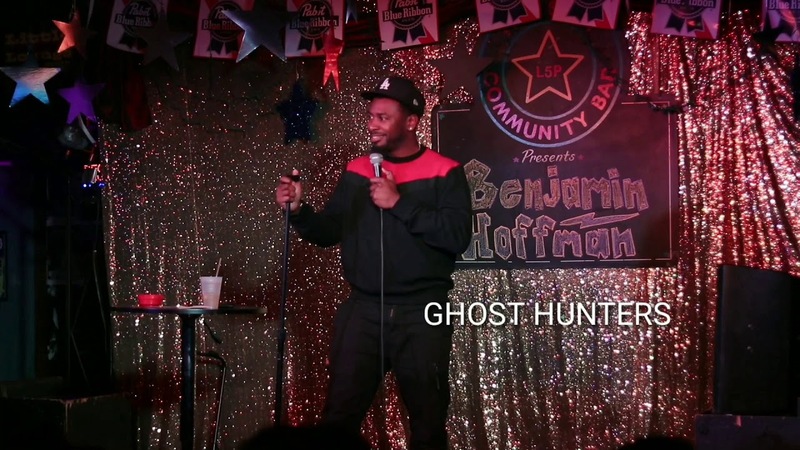 It takes true talent to make people laugh of varying races and socio-economic backgrounds. The entire crowd was laughing! Wellington was patient, and went with the flow. He was quick on his feet and fun to work with. It felt like he was a part of the family. He has my highest recommendation. I would book him again and again! Thank you soooooo much !!!! You made it easy for me to do a great job . I had so much fun working with you and your company. May you continue to have a blessed year in 2019 and beyond Kim !!!! This dude performed at my monthly showcase, in front of a rowdy local crowd. He is a Professional. He Killed!! Wonderful presence, excellent material, amazing crowd work, And didn’t run the light. Please do yourself a favor and book him. Thanks a lot Joseph. You provide an awesome show for people in the city coming from all over. You go out your way to give them a diverse lineup , which is very commendable of you. God bless you. Thanks again . We’ve booked Wellington for multiple events, most recently to headline Spirits Tavern in Dahlonega. Every time we have him on a show he steals it! Can’t recommend him enough. Consistent and Great for All Audiences! Wellington is my go-to comic for the comedy shows I produce. He's always consistently funny and I ALWAYS have audience members asking about him after shows. All types of people love his stand up. Wellington is always professional and courteous on and off the stage. Highly recommend Wellington! Thank you very much! It’s always a pleasure to perform on such a well produced show with a fantastic audience and Host! 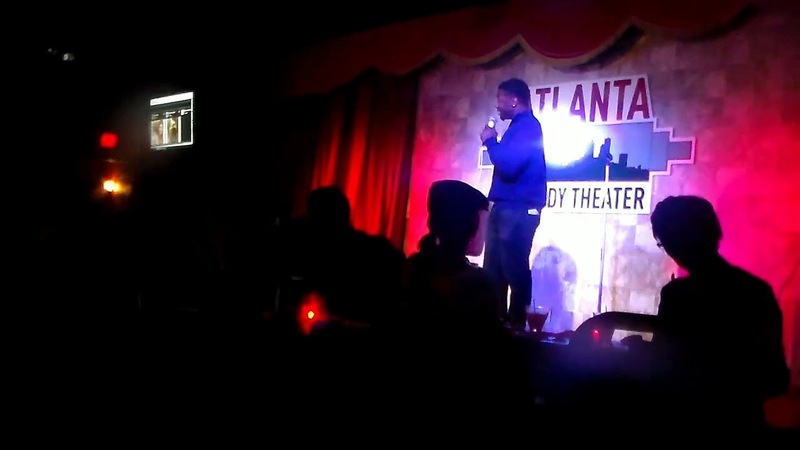 Wellington Juku was the right choice to book on the Stand Up at Studio 48 show in McDonough Ga. He really communicated with the audience and gave them a peak into his hilarious mind and life. And his preformance was well executed, there were no words wasted and he masterfully ended his set with a perfectly timed call back that showed his skill as a comedian was at the next level. Thanks for allowing me to be apart of your sold out event Jarrett! It was a great show. So professional, So funny and very well received from staff and the audience!! Clean comedian who shows up on time and delivers! Event was great and the staff was fantastic. You did outstanding hosting the show. Thanks for letting me be apart of an awesome eveing. Thanks for having me out Jovonnie for such a special occasion. You all were super accommodating. I look forward to working with you guys again in the future. 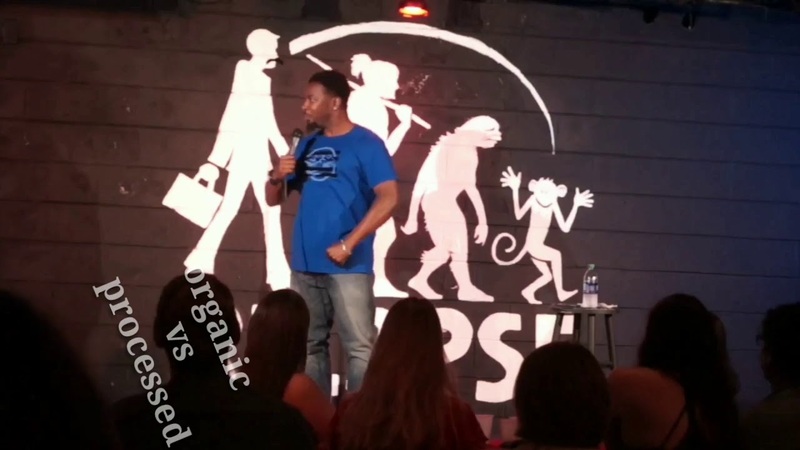 With a passion for comedy that spans 20 years, I've found that comedians who've approached stand-up as an artform instead of a pastime are more impressive entertainers. Wellington Juku is no exception. His comedic timing draws the audience into his world just long enough for his masterful impressions, artistically written material and hilarious perspectives to make you a lifelong fan. Each of his performances has been a one-man showcase featuring whatever the venue requires. A consumate-comedic professional for hire...hire him! This guy came to my Center and gave the crowd huge laughter. He is too funny and I had crying eyes laughter. Cannot wait to have you come out again. Thanks again for accepting the invite. I hired Wellington Juku to perform at my Fabulous at Fifty birthday event. He effectively delivered really good material that he had honed, as well as impressed the audience with on point, timely, witty, fluid injections of improvisation! Wellington Juku is a must have element to make your event POP! SUPER FUNNY GUY! Well worth the money! The comedian to choose! I hired Wellington to perform at my wife's 42nd surprise birthday party.He was very professional,early,and very funny. Everyone was extremely pleased with his performance. He adapted his comedy to the senior crowd " her parents who were present" my father in law commented that he hadn't laughed that hard in awhile. Book Wellington Juku you will be pleased. Wellington is consistent with his shows. I have seen him a few times and he never disappoints me. I had the opportunity to have him at one of my events and he was definitely the crowds favorite. One thing I like about Wellington is that his comedy is able to reach any audience. You definitely want to book this comedian for your event. Hired Wellington for my 40th birthday party, and he just destroyed it. I highly recommend him. He was professional on time and extremely funny. Would hire him again in a heart beat. Prior Service member of the U.S. Navy. Comedian Wellington Juku comes to make u laugh even if he has to tickle you himself. 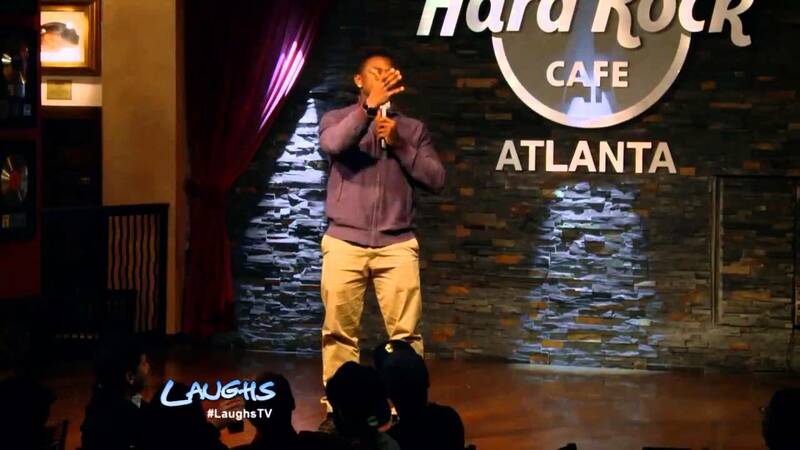 Juku made his television Debut on Fox Station "Laughs "Tv show , winner of Atlanta's Top Comic comedy competition in 2014 Hosted by The Basement Theatre in Atl Ga & winner of 2016 (LOLGCA) Living On Laughter Gospel Comedy Association Competition . Performer in the 2016 Laughing Skull Comedy festival. A content creator with over 67,000 followers on Instagram . His father is from Nigeria and Mother From Arkansas . He was Raised mostly in Arkansas & lived in Nigeria for 3 yrs which. Talks about his experiences and day to day observations . A Hilarious Show you would not want to miss. Must Provide Mic cordless or with cord and sound equipment . 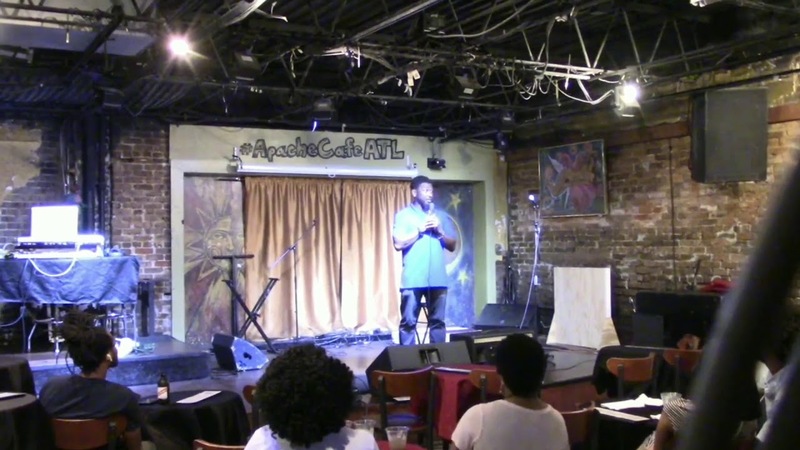 Place should be conducive for comedy , free from distractions , chair or stool .